If we as coaches and runners have learned anything over the past 50 years of the “running boom,” it’s that high-altitude training programs produce results. In the past five decades, 95% of all distance athletes who have won medals at the Olympics or World Championships have had extended training periods at high altitudes (generally 8000 feet above sea level or more). From Colorado to Northern Arizona and all the way to the the mountains of Mexico and the Rift Valley in Kenya, elite endurance athletes follow the principal of maintaining training camp at a higher altitude while doing most of their races and hardest sessions closer to sea level. This combination of high and low altitude training has consistently led to faster times and better results for most if not all endurance athletes. The questions are simple then, how does high-altitude training actually work, and why isn’t everyone (you included) doing it? 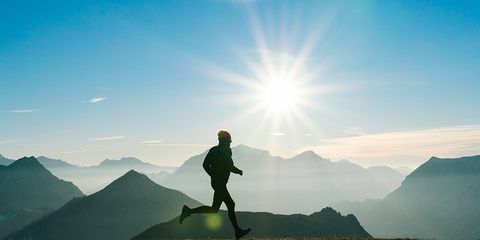 Endurance training at a higher altitude, generally considered optimal between 6,000 and 10,000 feet above sea level, increases the number of red blood cells produced in a person’s body. Red blood cells are produced by a hormone called erythropoietin, which comes from the kidneys. Once the red blood cells are produced, and are living their very best lives floating through the body’s blood vessels, their primary mission is to carry oxygen to all parts of the body through a protein called hemoglobin, and then transport carbon dioxide back to the lungs to be expelled via the most basic human mechanism, breathing. We know that muscles need oxygen to function, and we know that the body needs its muscles to run, so therefore the existences of millions of red blood cells is what keeps the muscles firing and the body running. As athletes spend more time at higher altitudes, the production of excess red blood cells allows for their muscles to be provided with more oxygen at a faster rate, therefore allowing for longer, faster running. Now that’s about as much science as I am comfortable getting into here so let’s move on to what this has to do with you and your training. Why isn’t everyone mixing in a bit of high altitude training to their programming? The reality is that high-altitude training for a few weeks only produces enough excess red blood cells to be useful for an athlete at sea level for a week to 10 days, so the timing of races is imperative. However, spending even a week to 10 days at a high altitude while continuing a training regimen can produce positive physiological adaptions for everyone, not just the elite runners of the world. If you have an opportunity to spend time above 5,000 feet, make sure you take advantage and get in some solid, safe, and smart training. 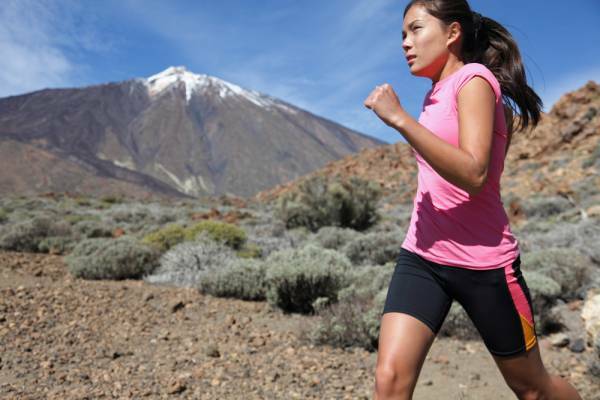 The key to high-altitude training is to focus on effort versus pace. Remember that initially your body is going to be starving for oxygen on runs, at least for the first few days, so you won’t necessarily be able to get out there and break any personal records. Fueling and hydration are even more important at higher altitudes: make sure you’re drinking more water than normal even if you don’t particularly feel thirsty and help promote those hemoglobin levels with an iron rich diet. You don’t need a fancy high-altitude training center or an elite camp. Just take your family vacation or honeymoon to the Rocky Mountains, Mexico City, or the grand Lake Tahoe, and get a bit of aerobic use out of it. You deserve a vacation, but you also deserve a taste of that sweet elite runner life. Newer PostRunning Essentials: Books for all Runners! Older PostIt’s Not About the Shoes…Except When It Is: How to choose the proper running shoes for you!